KClyn came into contact with Planit through a referral from a friend who was already working for the company. While still in the Philippines, KClyn was able to carry out further research about Planit and eventually apply for a position at the Wellington office. While doing research about the testing industry in Australia, Ina discovered Planit and its Software Testing Bootcamp (STBC). Find out why participating in the bootcamp enabled her to change from a career in translation to testing. Test Consultant, Rachel Whitney, looks at the common challenges people encounter when studying a course online and how to overcome them. 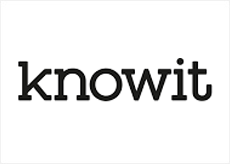 Knowit has partnered with Planit to bring world leading eLearning courses to the Nordics. Why is Scrum So Popular? Agile Practices Consultant, Leanne Howard, looks at how Scrum helps teams address complex adaptive problems, while also productively and creatively delivering products of the highest possible value and quality. The latest Global Shapers Survey has found that over 77 per cent young people across the world have taken an online course in the past.